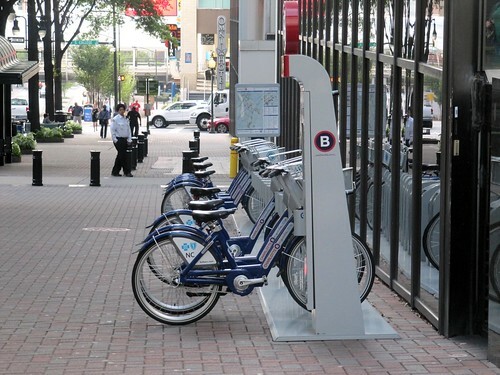 Charlotte’s new bike sharing program, BCycle, had only been installed a month and a half before our visit. I’ve never tried a bike share and we were car-less in Charlotte, so I decided to explore Charlotte by BCycle for a day. For $8, you get a 24-hour pass (longer-term passes are also available). As long as you return each bike within a half hour, you can take unlimited rides without any additional charge. Bikes come with a lock and basket but not a helmet, so I brought my own. The system was hassle-free and easy to use. 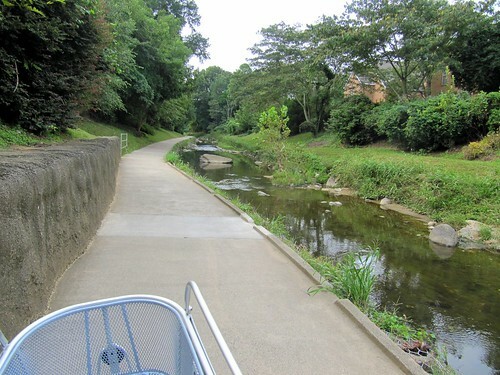 I started uptown, rambled down the the Sugar Creek Greenway, followed the almost entirely bike-laned East Boulevard to the Trolley Rail Trail, then took the trail back to uptown, switching bikes at each station along the way (Link to Map). Though the bike rode smoothly, a heavy 3-speed was totally exhausting for this road bike girl! So on my way, I stopped for a necessary snack at the Common Market. 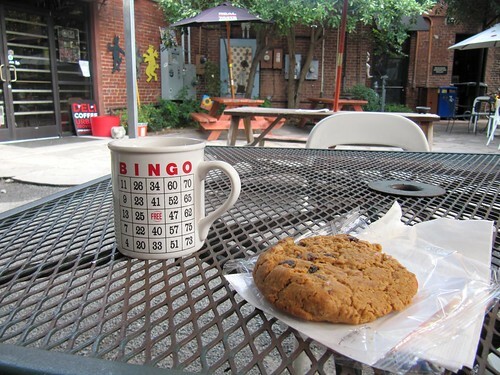 Later in the day I took another bike for a spin down to Elizabeth Creamery for a scoop of praline ice cream. By the end of the day, I had ridden 8 bikes! I didn’t see a lot of other people riding bikes in Charlotte, and when I did they were riding on the sidewalk, a practice that is illegal (or at least frowned upon) most places but seemingly the norm in Charlotte. Some of the streets uptown had bike lanes and the drivers were courteous, but if you’re skittish on the roads, the Little Sugar Creek Greenway and Trolley Rail Trail would be good places to ride. Nice. Glad you finally got to try one out. I’ve starting checking to see if there are rental bikes in the cities I’m visiting so I can bring a helmet with me.